According to a report early Monday from the Economic Daily News, laminate motherboard suppliers Zhen Ding, and Kinsus Interconnect have worked out difficulties, and are ready to ramp up iPhone parts in June. Long-time Apple supplier TSMC is ready to go with the "A11" chip, also according to the report, and will also start producing in mass quantities on June 10, with volume quantities arriving at Foxconn in the second half of July. At the same time, the report alleges that iPhone assemblers Foxconn Electronics, Wistron and Pegatron have started the hiring surge process, and required training, to have an adequate work force on hand. Multiple venues declared in April that the "iPhone 8" would ship significantly later than "normal" iPhone timetables. 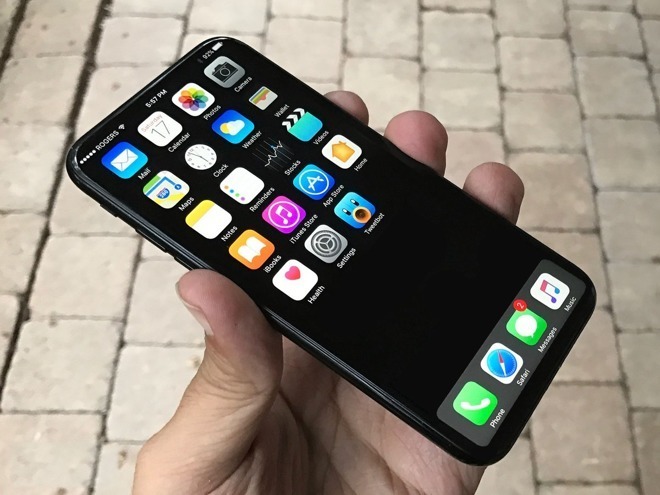 While the reports stated that the phone would launch alongside the "iPhone 7s" family in Apple's regular September event, the April accounts noted that it may not ship until significantly later. Analyst Ming-Chi Kuo cautioned investors that Apple's anticipated flagship "iPhone 8" could be in extremely limited supply in 2017, thanks to the expected adoption of a number of new technologies. As a result, customers could wait, or shift interest to the "iPhone 7s" family of phones which are expected to be released at the same time, potentially capping iPhone shipments in the holiday quarter.